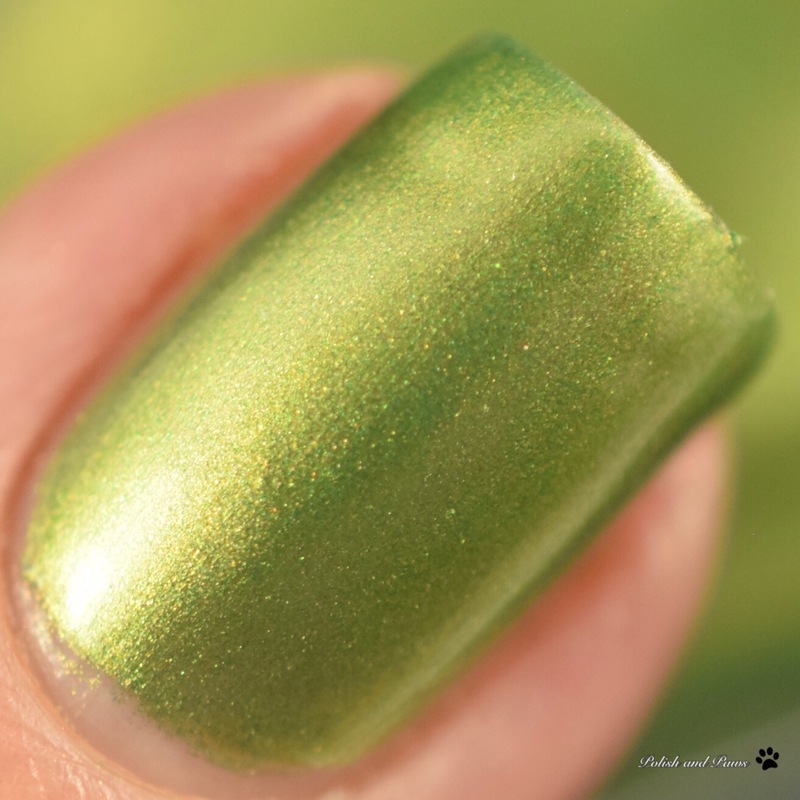 Alluring Moss is described as a cool toned metallic fern green with a soft golden yellow shimmer. Best applied in 2-3 thin coats. 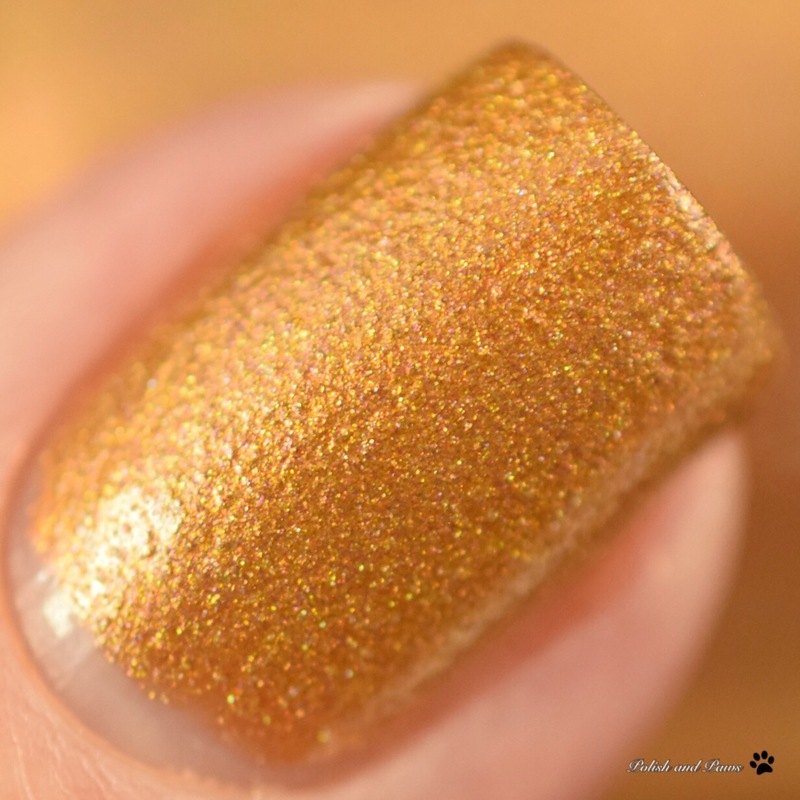 This is probably the most sheer, but it still reached full opacity with 3 coats. It had a nice consistency with no pooling or streaking, and dried very quickly. Sealed with glossy top coat. No visible brush strokes. 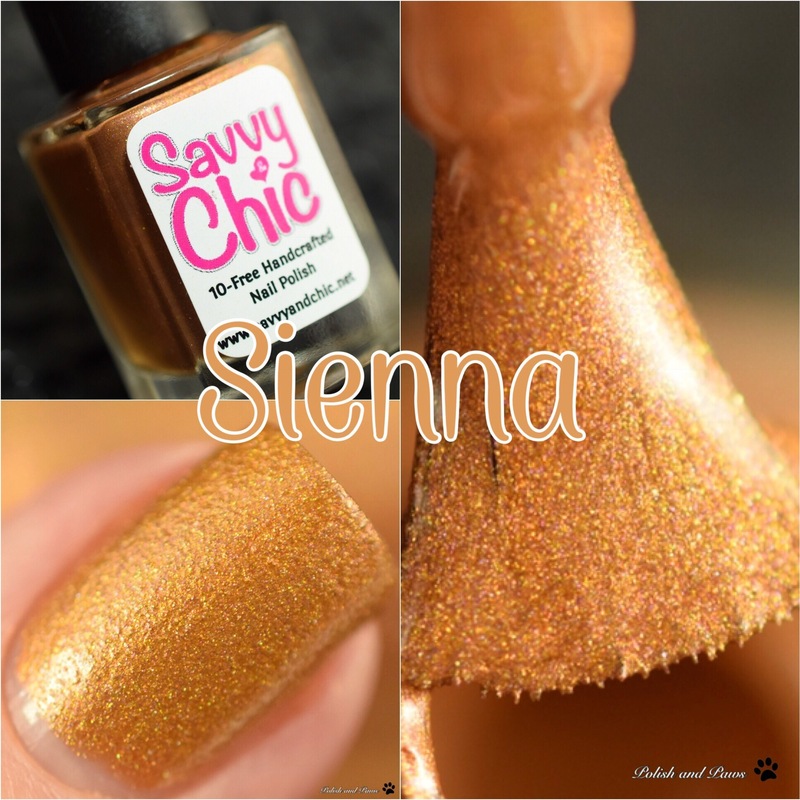 Sienna is described as a medium mustard-leaning brown with yellow gold microglitter and holographic microglitter throughout. 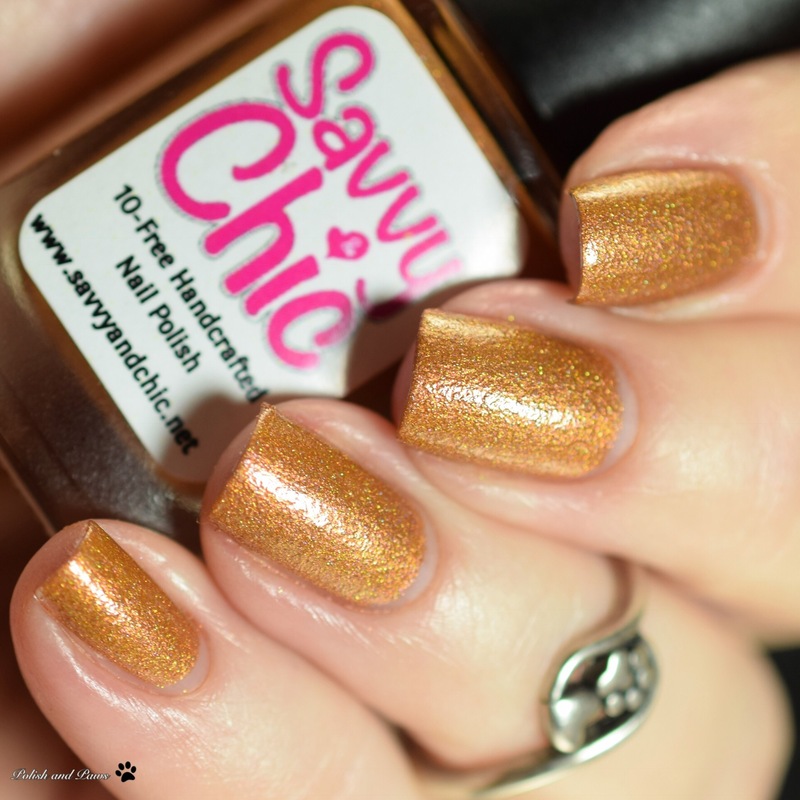 This is such a unique color and could be worn as a one coat wonder. 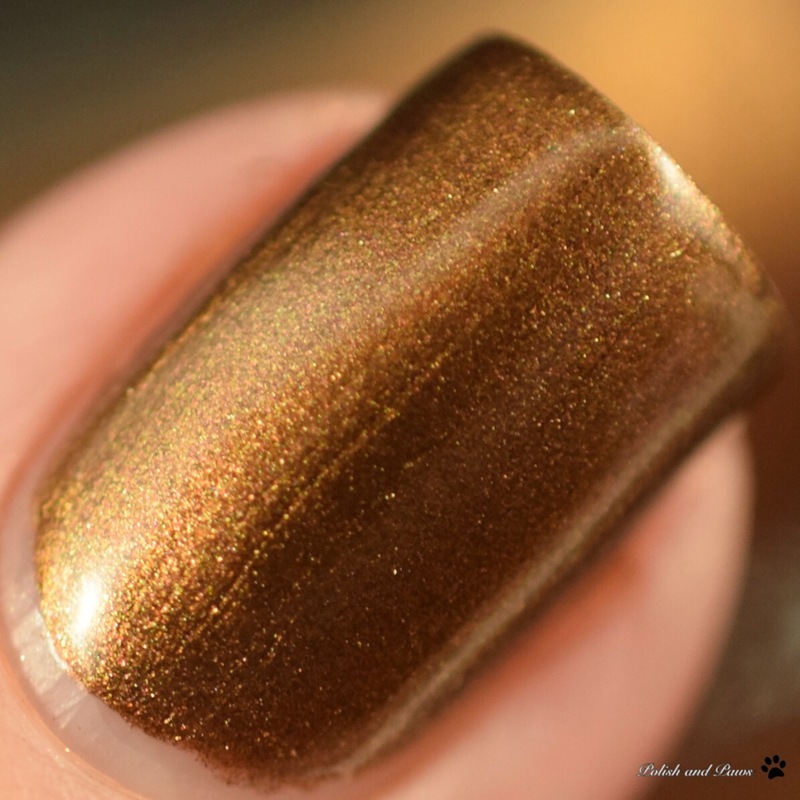 Very opaque, I used 2 thin coats for my swatches but one slightly thicker coat would be plenty. Flawless formula. Sealed with glossy top coat. 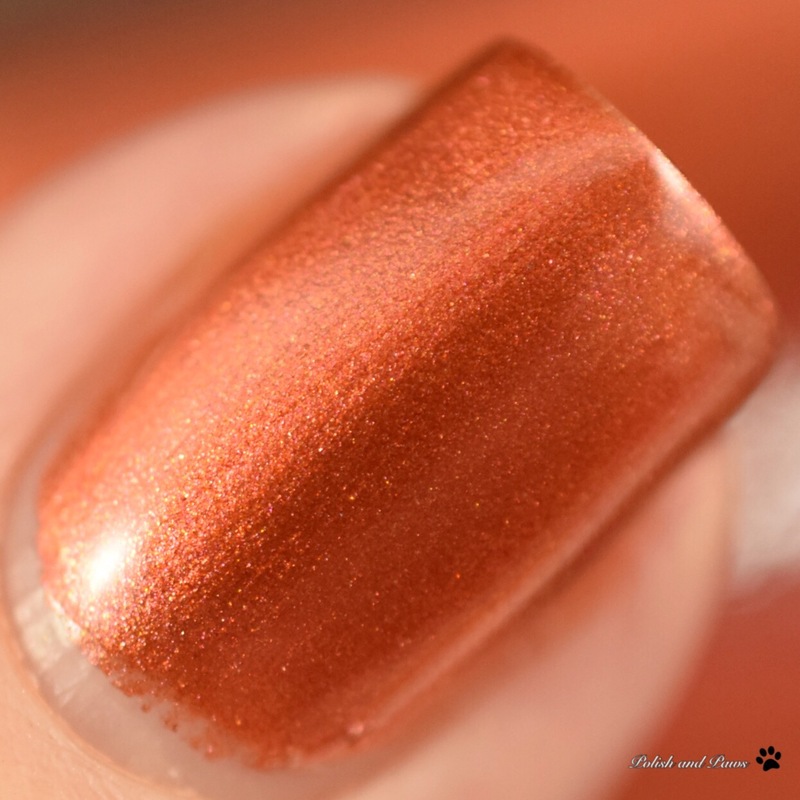 Vicious Affair is described as a rusty orange red metallic with a subtle golden shimmer. Best applied in 2 thin coats. Very nice formula. It has a nice consistency with no pooling or streaking. Some very slight brush strokes, but minimal. Sealed with glossy top coat. 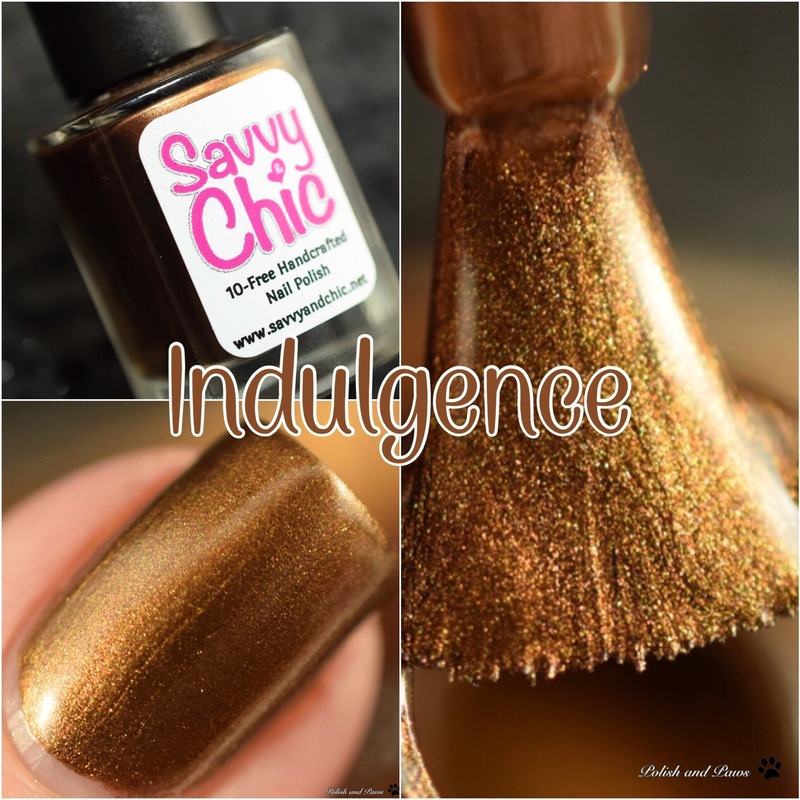 Indulgence is described as a cool toned tawny brown metallic with a subtle shimmer. Best applied in 2 thin coats. Another easy formula, nice consistency with no pooling or streaking. A few slight brush strokes, but not enough to distract from the polish. For my swatches I used 2 coats with glossy top coat. 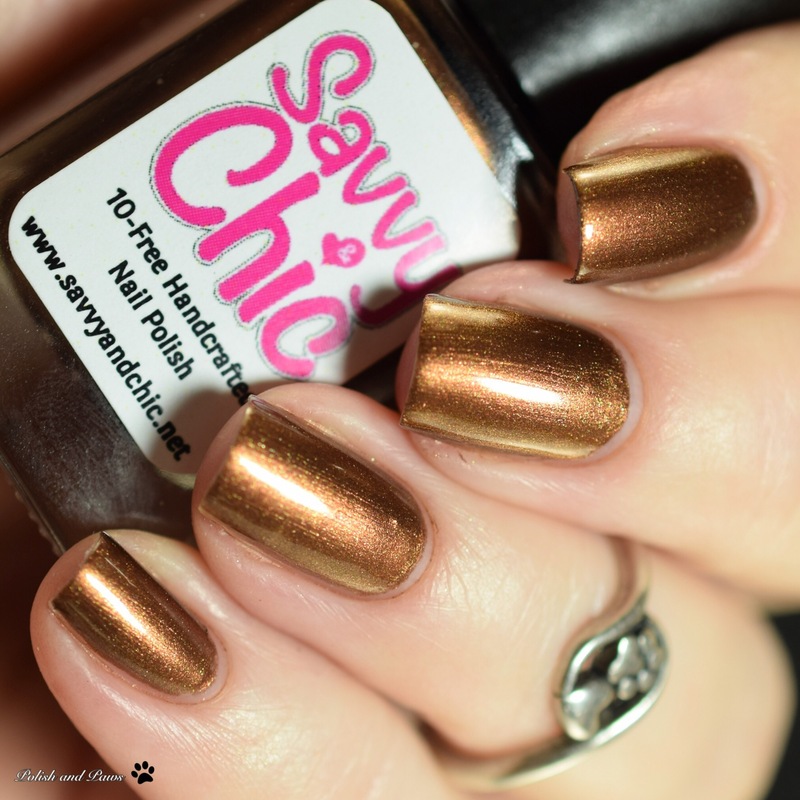 For this look I started with a solid creme colored base on all my nails. When that was dry I added a thin layer of nail foil glue. Using my nail art mat I dropped a few drops of each of the four shades on the mat, then using a dotting tool I dragged the tool through to “connect” the various drops. 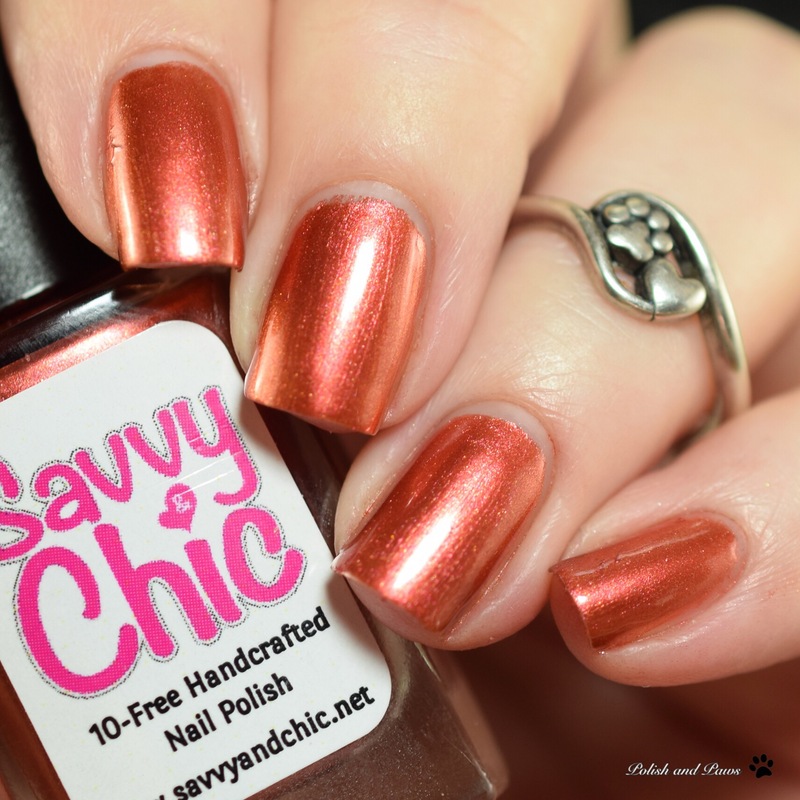 I then firmly pressed my large stamper on it and picked up a “smooshed” layer of polish. Pressing the stamper firmly down on my nail I transferred the smoosh pattern to my nail. 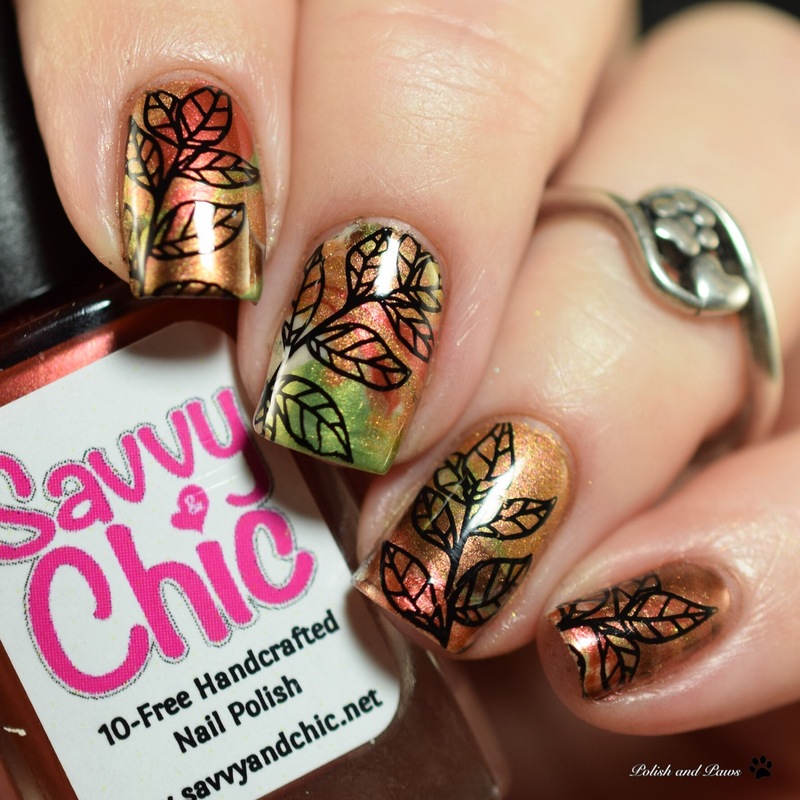 I repeated this step for all my nails, then followed it up with a stamping image from UberChic Lovely Leaves. Sealed with glossy top coat. 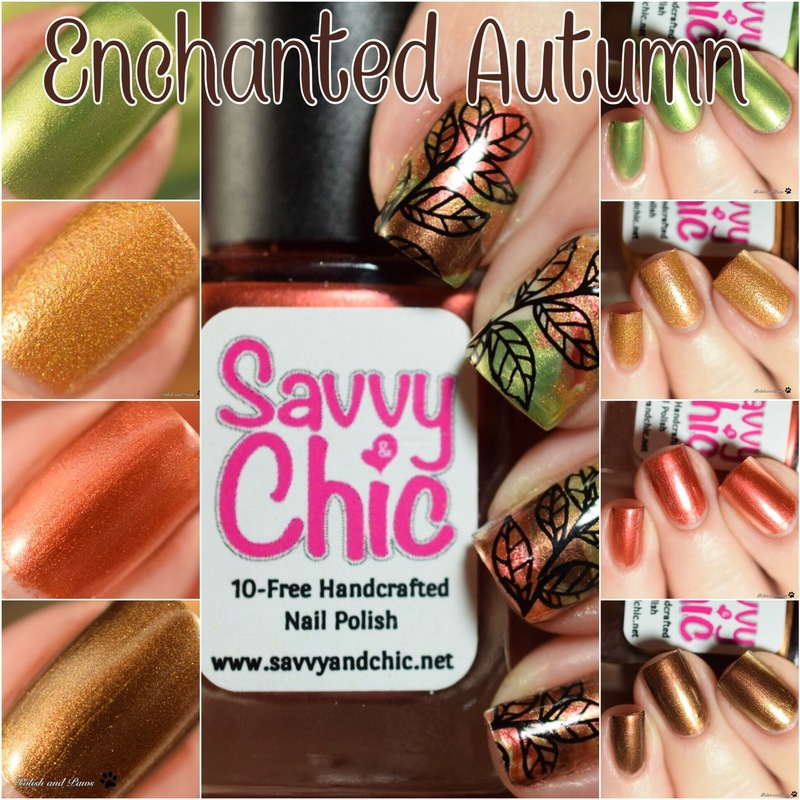 The Savvy & Chic Enchanted Autumn Collection releases this Thursday, September 13th. For a limited time you can get the full collection for $28 with free shipping using the code Enchanted. This offer is valid September 13th through the 23rd. 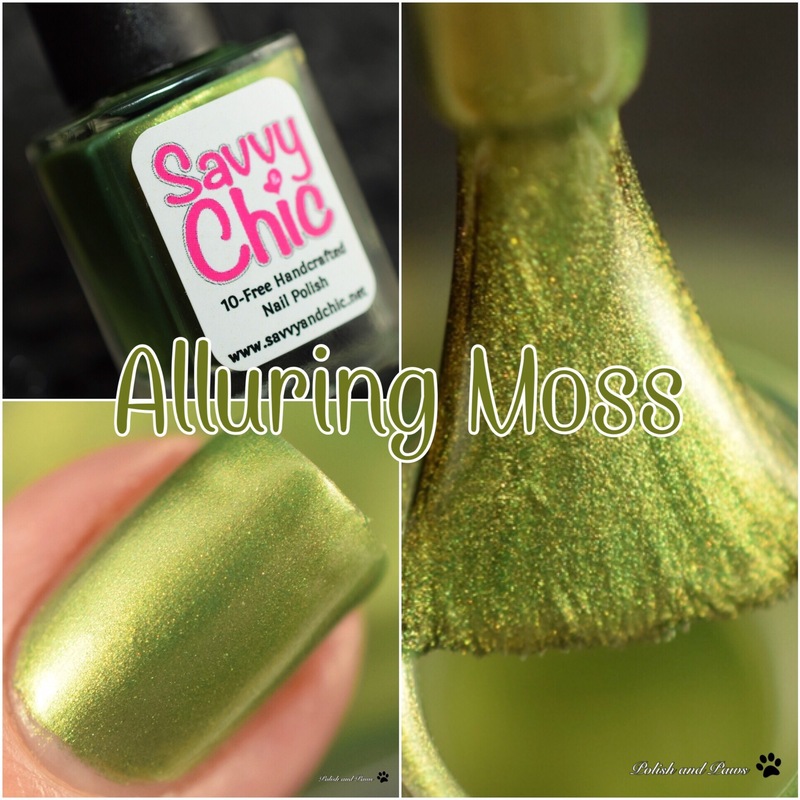 Alluring Moss is absolutely gorgeous! 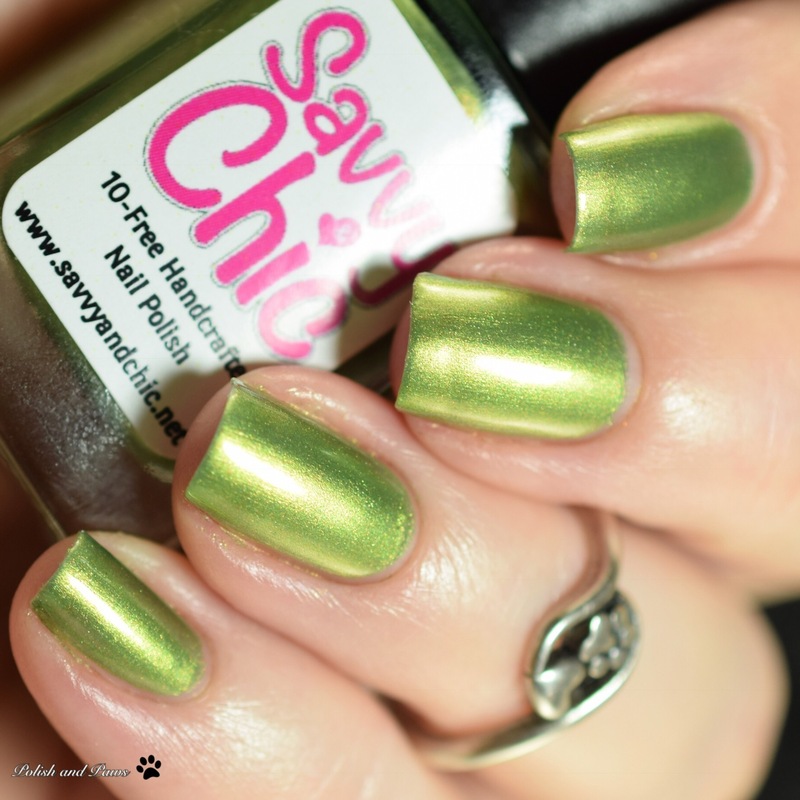 I love green polishes but this one is just stunning! I love your nail art. It is so fall! As I sit here, air conditioning and fans going full blast. Well this definitely screams autumn! Great swatches. I am just dying over your nail art!!! 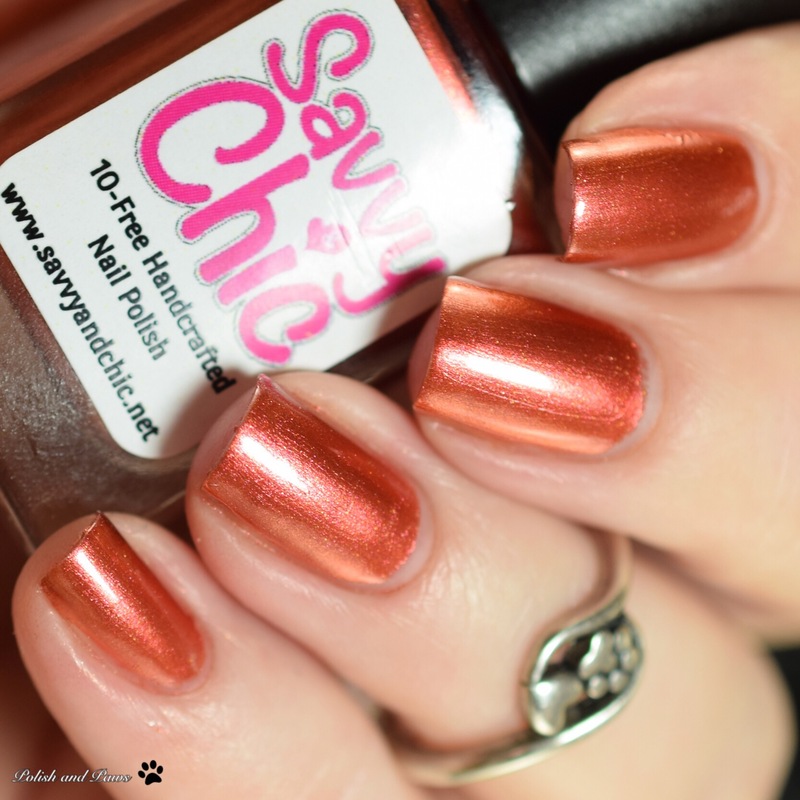 These shades worked beautifully together to create the perfect fall palette! What a great use of the colors in this collection with your nail art. You really did an outstanding job. 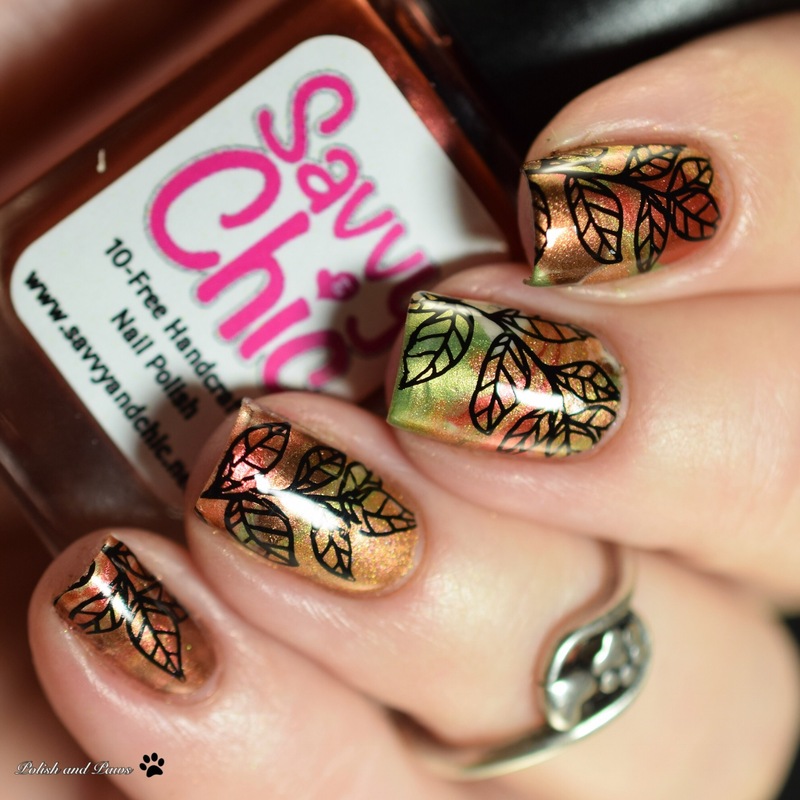 These definitely look like autumn leaves! Great colour assortment! That art is perfection and I just LOVE the overall vibe of the collection! Fabulous shades! I like the textured look of Sienna! I knew you would do fab nail art with these. They scream autumn! These are all so gorgeous and I love the nail art you created! 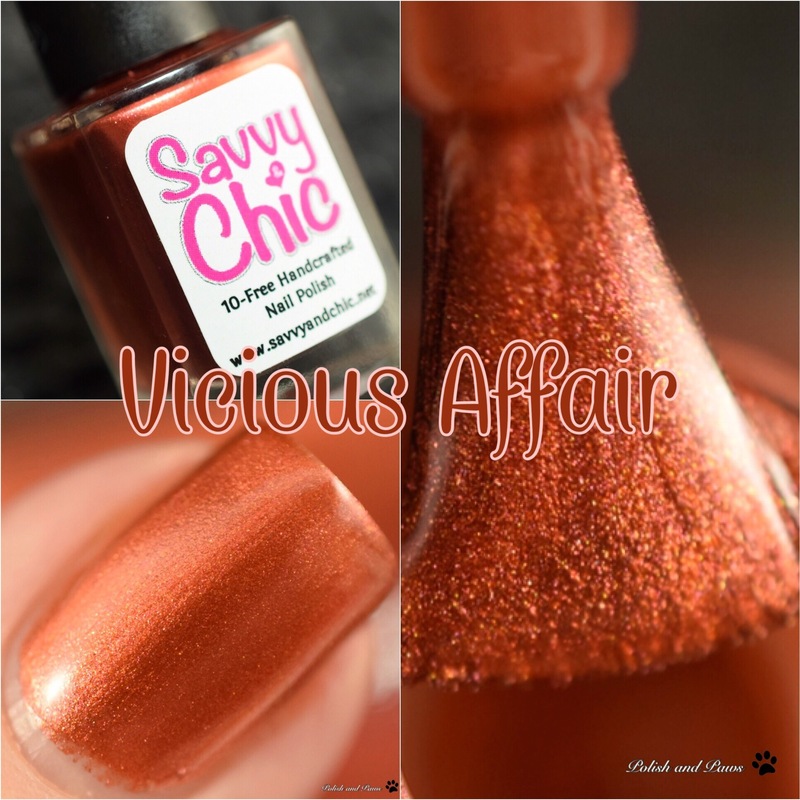 If I had to pick a favorite it would be Vicious Affair, the color is so fall. That is such a perfect Autumn collection! And the art is so cute. I never knew you could mix polishes and then stamp the lot on! I’ll have to try that out. 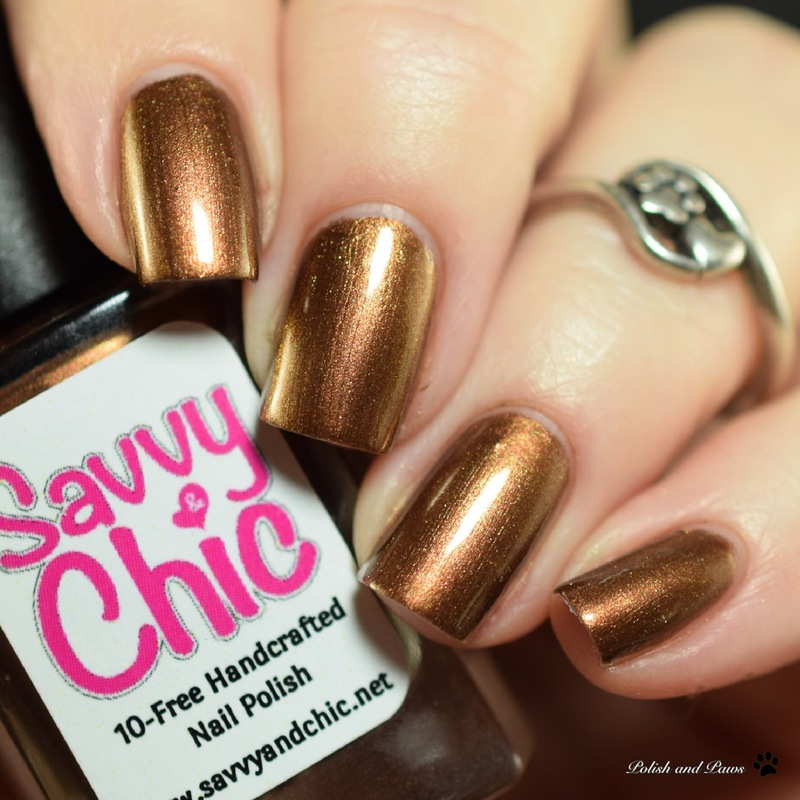 Your nail art is MINDBLOWINGLY stunning – I could wear that base all year around! Whoa! The way you swirled the colors together is really gorgeous! 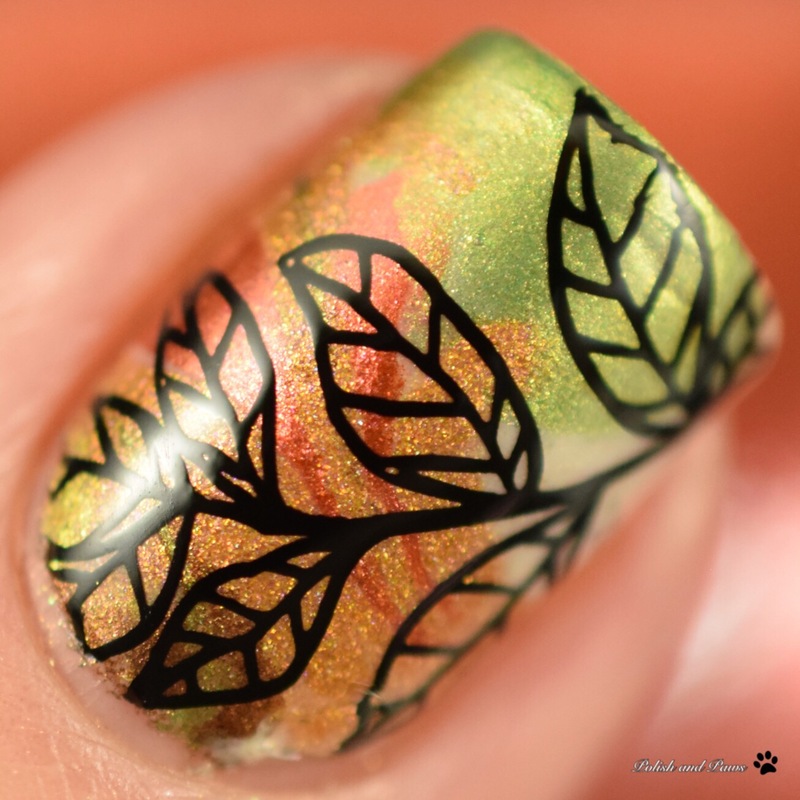 I also love the stamping you added. Now excuse me while I make some hot apple cider lol. Ohhhh I’m loving all these fall collections I’m starting to see!